Choosing the right dementia care facility is one of the most important decisions a family can make. If your loved one is suffering from memory loss, you’ll find Beacon Hill at Eastgate a safe and uplifting environment for them to call home. We value each resident as an individual and make it our mission to learn everything we can about them in order to provide exceptional person-centered care that honors their dignity. Our program specializes in caring for mild to moderate memory loss, or comparable cognitive challenges. 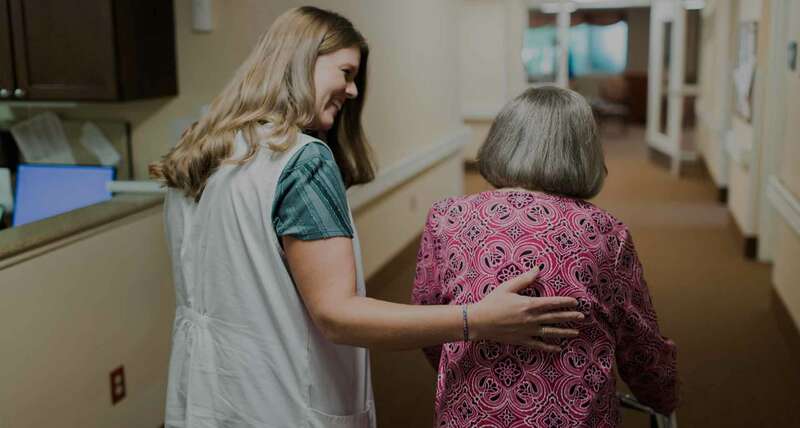 Our caring and compassionate staff is available to family and residents—to stand with them so that they can experience hope in what can be a confusing and difficult journey and be a presence that reminds them that God is very close. When a resident joins us, we become acquainted by developing their Life Story. This proprietary tool helps us learn about your loved one—where they grew up, who their family members are, their personal preferences, their food likes and dislikes. We share this Life Story with our staff and it helps them tailor the experience at Beacon Hill for your loved one. For example, if this person doesn’t get up early in the morning, they won’t have to. We will prepare a daily plan of engagement that fits them perfectly. 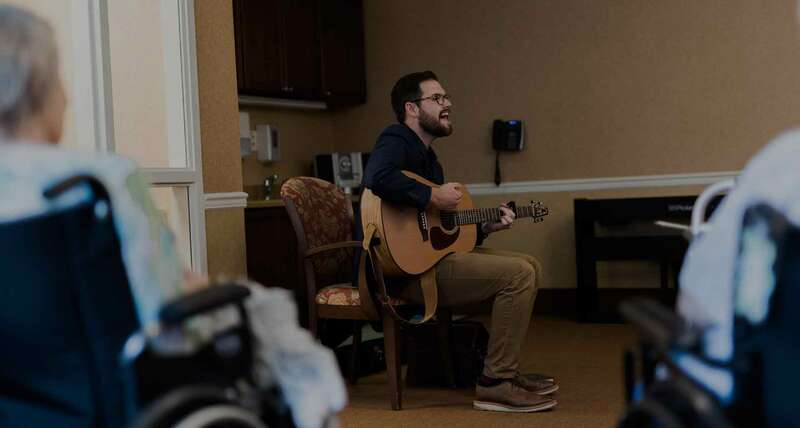 This includes activities such as music therapy, table games, exercise, devotions, and even a ladies’ tea to help address their cognitive, physical, spiritual, social and emotional needs. While we want to support a vibrant life for every resident, we also understand the need for privacy and downtime and incorporate that into each day. We’ve shaped our environment with our residents in mind. Food is always important, Residents enjoy delicious chef-inspired dishes that account for their specific nutritional needs. 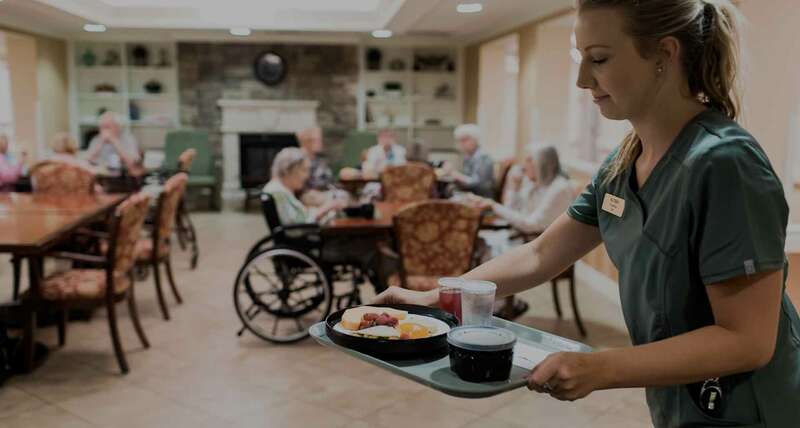 On-site certified staff, including registered nurses, licensed practical nurses and certified nursing assistants, are available 24 hours a day, 7 days a week to meet each resident’s care needs. Additionally, a gerontologist provides supportive oversight for every resident, and a chaplain is available to provide spiritual care. You’ll find the atmosphere encourages intimacy and strongly supports family interaction. Resident rooms all include a private bathroom and windows with a view. Residents can enjoy other settings, including a fireplace retreat, a sensory room to accommodate quiet time, and a larger community room. Family members are always welcome. Come see for yourself. Let us take you on a tour. We provide residents the highest quality of memory care in a safe and secure environment. All living accommodations are private, each with a bathroom. Amenities include wireless internet, cable hook-up, air conditioning, and an emergency response system. Call or sign up for a tour to see which rooms are available. Click on the button to view a floor plan and a list of highlights.